Farrier and owner checking a horse's bleeding hoof. A definite emergency. Will the Farrier Be Available When Needed? When a horse throws a shoe or has a shoe come loose on the trail, the owner needs a farrier right away. One of the first conversations a horse owner should have with a farrier involves availability in case of an emergency, as well as availability for the routine services of trimming and checking shoes every six to eight weeks. Having a good farrier check the horse's hooves and lower limbs on an on-going basis should be of prime concern to every horse owner. 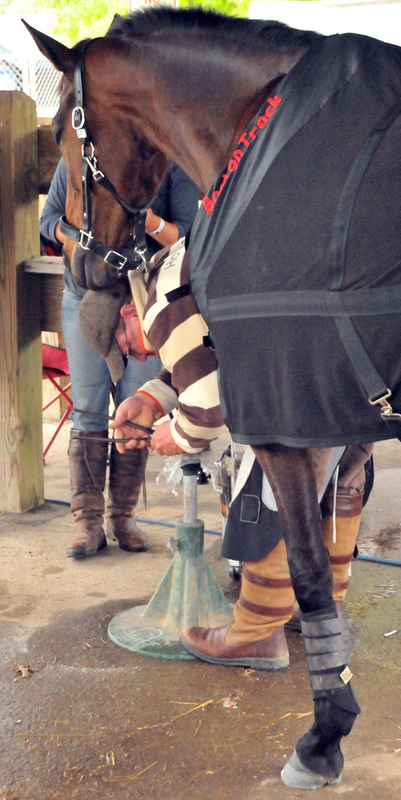 A reputable farrier often faces a great demand for services especially in areas with a number of horse owners. In addition, the necessary time involved in traveling between appointments or getting to a particular horse, especially if located in a more remote area, may pose problems for some farriers. A frank discussion up front with a farrier will help determine availability, not only for on-going routine care, but also what can be expected in case of an emergency. Once a horse owner begins working with a farrier, mutual decisions can be made about how often the particular horse's feet need trimming and shoeing. Most horse's hooves need a farrier's attention every six to eight weeks. If a farrier suggests the horse should be seen more often or expresses reluctance about scheduling on-going appointments for routine care, ask why, and if you are not comfortable with the answers continue looking for another farrier. 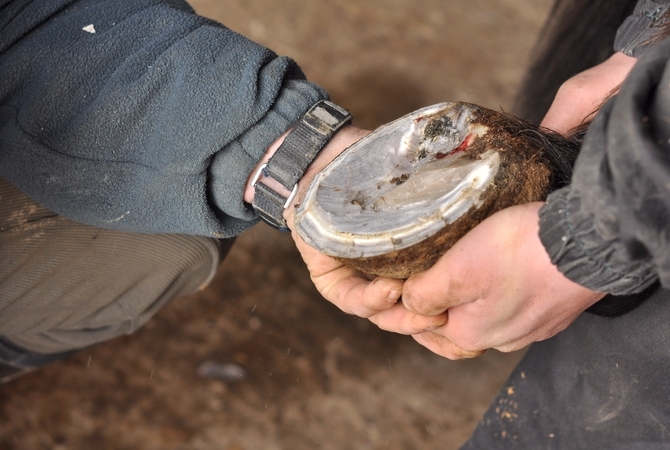 If a horse's hooves are not regularly trimmed and shoed according to the needs of the horse, the horse may develop chronic lameness, eventually end up unrideable, and the horse's entire system will become unsound. Having a good farrier check the horse's hooves and lower limbs on an on-going basis should be of prime concern to every horse owner.